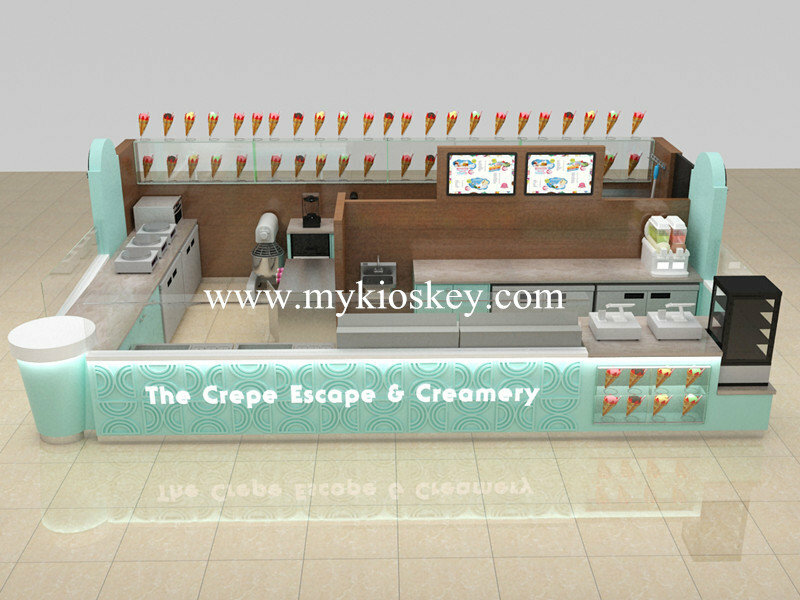 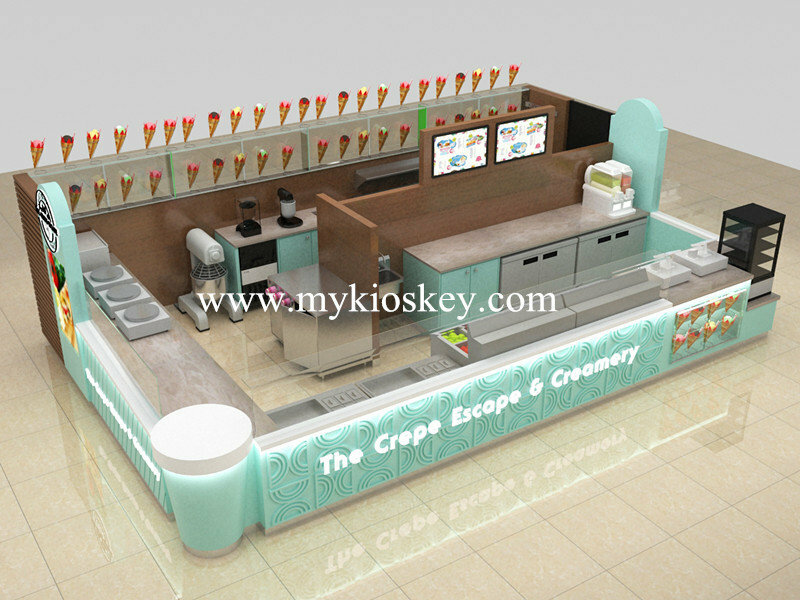 Today i wanna share a style elegant blue ice cream kiosk design , it really is very beautiful and modern, the customer location is very big: 7.6*4m size ; the design divided into 2 areas , front sale room and back food preparation and put big equipment area . 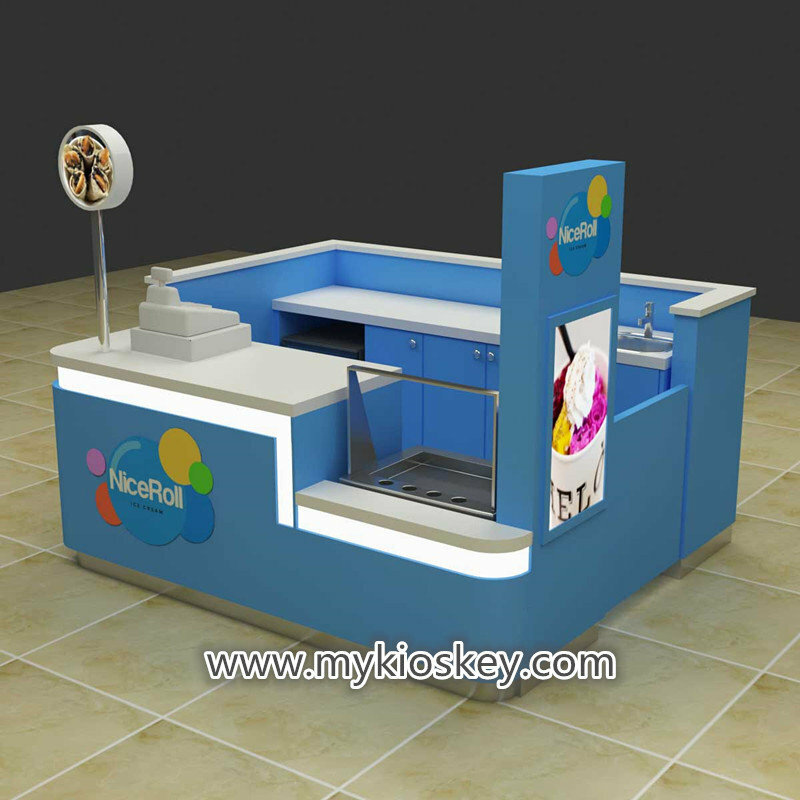 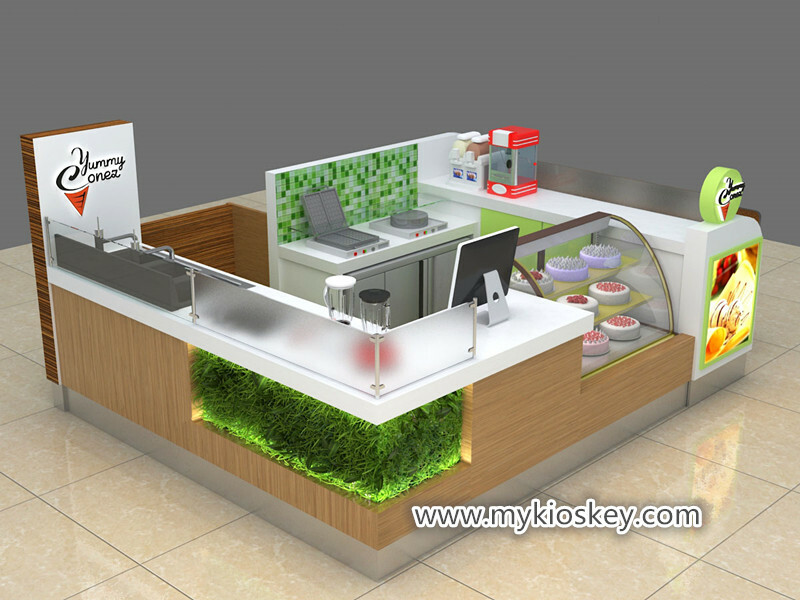 cash desk front , we make glass showcase with led light strips to put ice cream model . 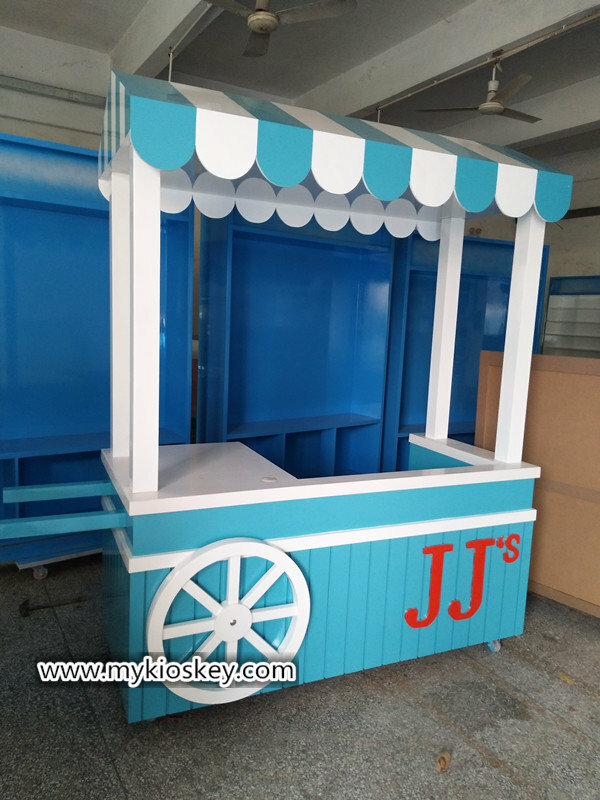 when you stand in distance , it is very beautiful and elegant . 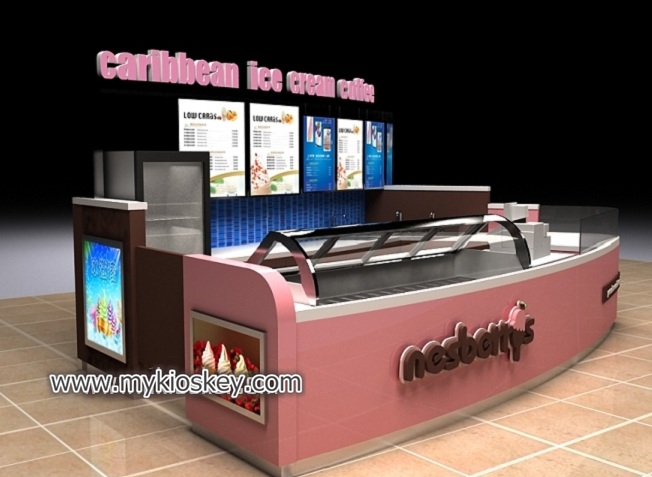 back of kiosk we made galss shelves to put ice cream model . 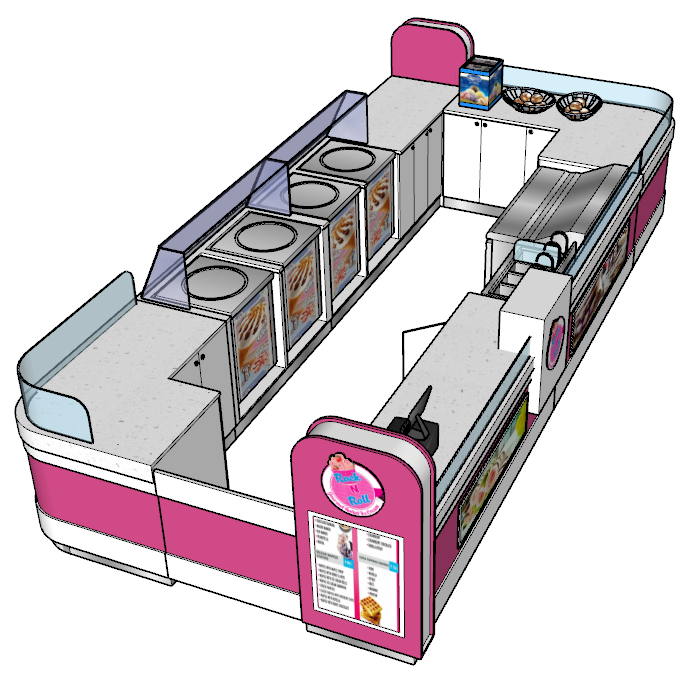 it is very attractive . 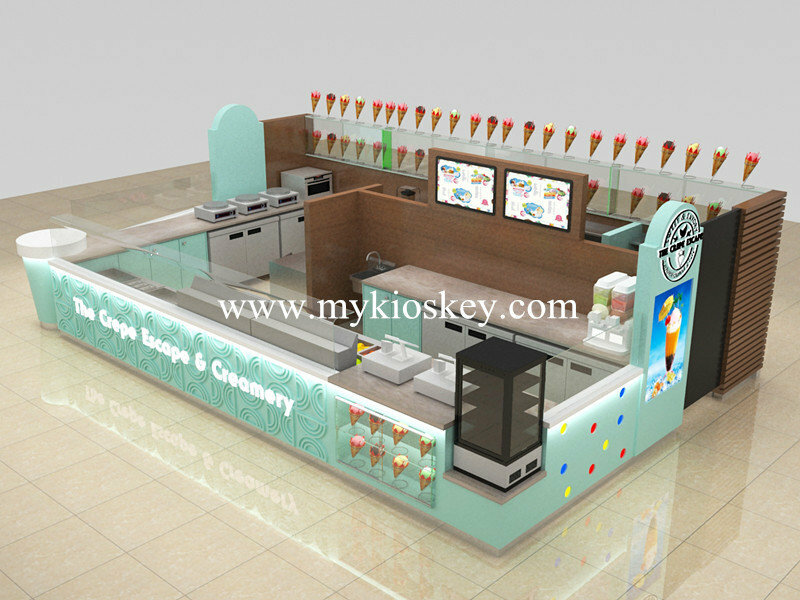 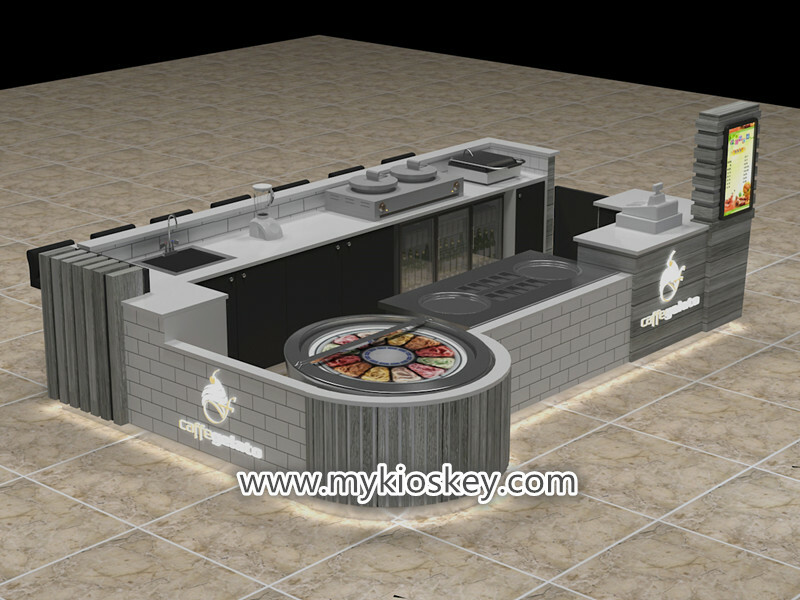 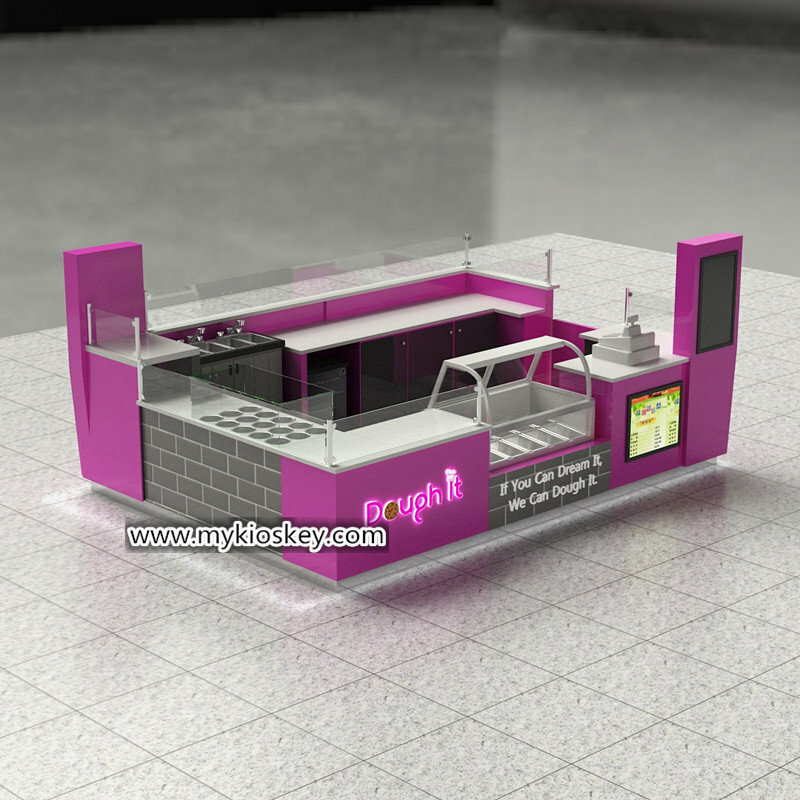 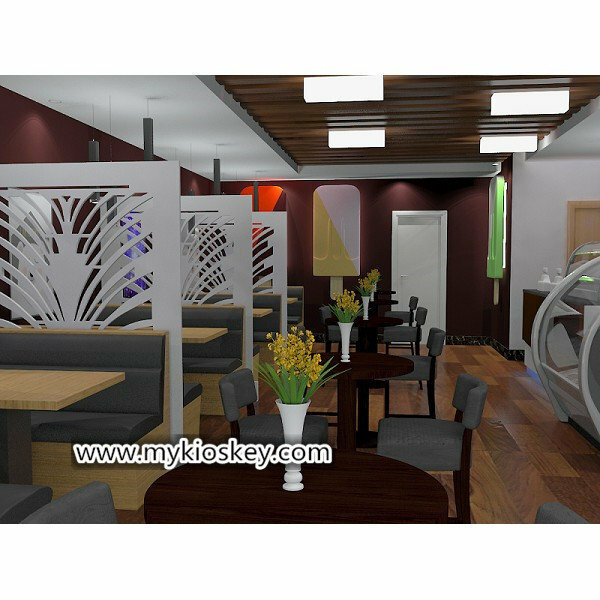 if you are looking for mall ice cream kiosk or any food kiosk project , only join us . 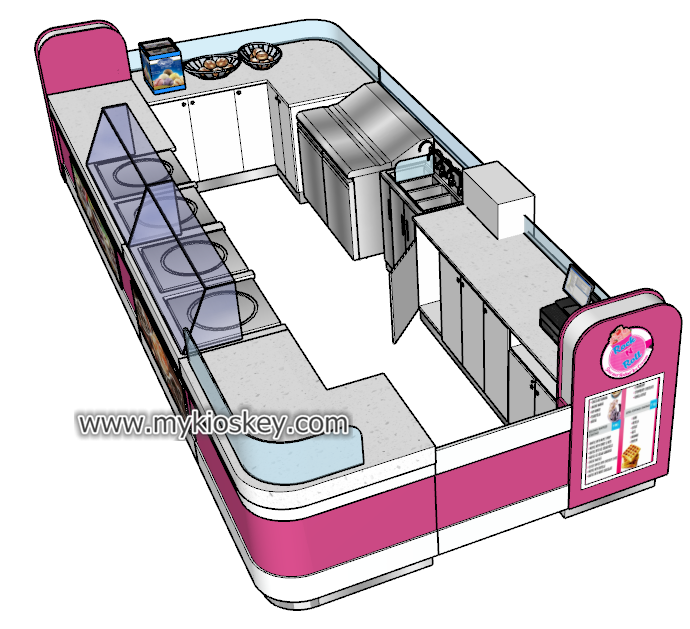 1,tell us your ideas and requests and your rent location size , and then we can help you make details design drawings . 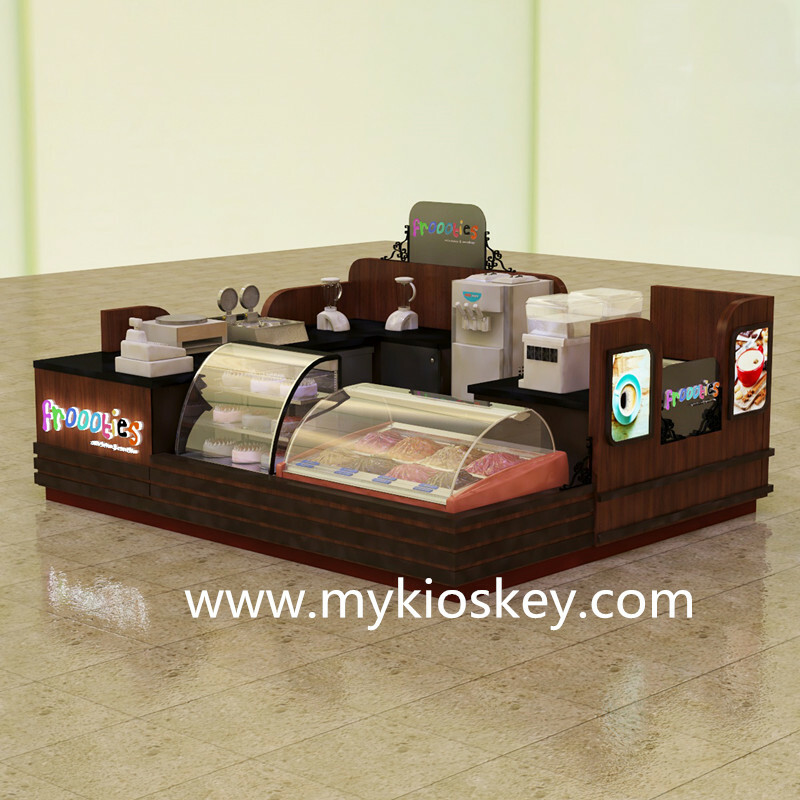 3. we will arrange production and shipping and confirm you can get kiosk before open time .